Plans for a prestigious UK-Gulf Co-operation Council meeting in London this year have been put on hold, threatening UK plans for a quick free-trade deal with some of the richest economies in the world after Brexit. Theresa May promised last year to host the first meeting of the GCC nations outside the Gulf in December as part of a symbolic show of the UK’s strengthening trade and security ties with the regional bloc. But Gulf nation sources said the two-month dispute between Qatar and three other Gulf states has put planning for the summit on hold. There have been suggestions that if the dispute worsens Qatar will be suspended from the GCC, or that the organisation itself will fold. Qatar has filed a legal action with the World Trade Organisation over an air, land and trade embargo imposed by other Gulf states in a legal dispute that could take years to resolve. The complete collapse of the GCC, which was formed in 1981, would complicate British efforts to set up free-trade deals to supplement the loss of EU trade post-Brexit. In 2016, UK trade with GCC states stood at £30bn, higher than its exports to China and more than double those to India. The international trade secretary, Liam Fox, has hailed the Gulf as one of the areas in which British trade could be quickly expanded; he has identified 31 big-ticket items ranging from oil and gas to infrastructure, life sciences, the creative industries and defence. A UK-GCC trade working group has already been set up, looking at the Singapore-GCC trade deal as a potential model. The Gulf states have no free-trade deal with the EU after talks stalled in 2008, partly over human rights issues. Efta, the four-nation body of Switzerland, Lichtenstein, Norway and Iceland, does have a deal. It is generally accepted that it would be more difficult for the UK to strike as valuable a deal with individual GCC states than with the council as a whole which, ironically, is modelled on the EU: it has its own internal free-trade agreement signed in 1983, a customs union implemented in 2015, and a declaration of commitment to freedom of movement for people and goods in 2018. The question mark over the planned London summit underlines the extent to which all sides fear the Gulf dispute will last for a long time. European and US diplomats rushed to the Gulf when the dispute began, urging the states to lift their embargo on Qatar to allow conciliation to take place, but there now seems to be an acceptance that no quick settlement is possible. Kuwait, the key regional mediator, is shuttling between the states, with new proposals having been taken to Saudi Arabia and Egypt. In addition, two US envoys have arrived in Kuwait and will visit Saudi Arabia, the United Arab Emirates, Bahrain and Egypt before heading to Qatar. The dispute between Qatar and Bahrain, Saudi Arabia, the UAE and Egypt is focused on Doha’s independent foreign policy. The boycotting states have tried to bring Doha to heel by cutting all diplomatic ties, and closing their land borders and air space to it. 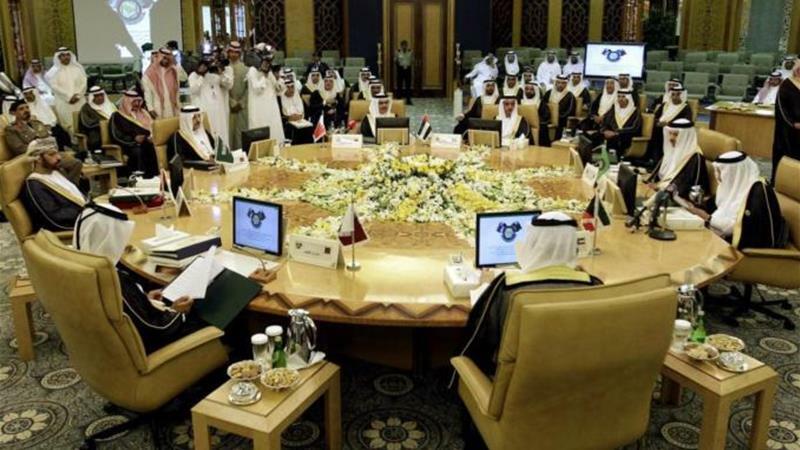 The anti-Qatar alliance has listed a range of demands, including that the state ends its interference in the internal affairs of other Gulf states and withdraws its alleged support for terrorism. Support for the Muslim Brotherhood would also have to end. The alliance has been encouraging other states to expel the Doha-funded broadcaster al-Jazeera, saying its journalism supports terrorism and is antisemitic. Israel this week agreed to do so, but it is not clear how the ban will be enforced. The most visible impact on Qatar’s economy has been a drop in the value of publicly traded companies on the stock exchange as well as a drop in tourism, an industry that is heavily dependent on custom from GCC visitors.